Read the AF review of When the Brain Can't Hear, an inside look at APD from a doctor who studied the condition, and developed it herself. 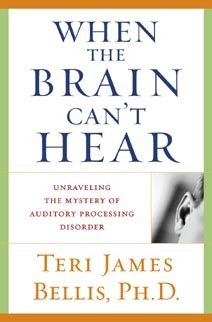 Dr. Teri James Bellis, author of When the Brain Can’t Hear, is an audiologist who herself developed APD following an automobile accident. She clearly knows APD from the inside out.